Rest In Peace and thank you for all the music. 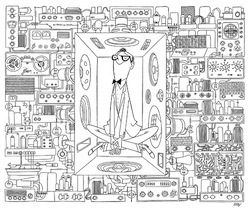 Getting to hear Chickenhawk live is one of my favorite live music memories. 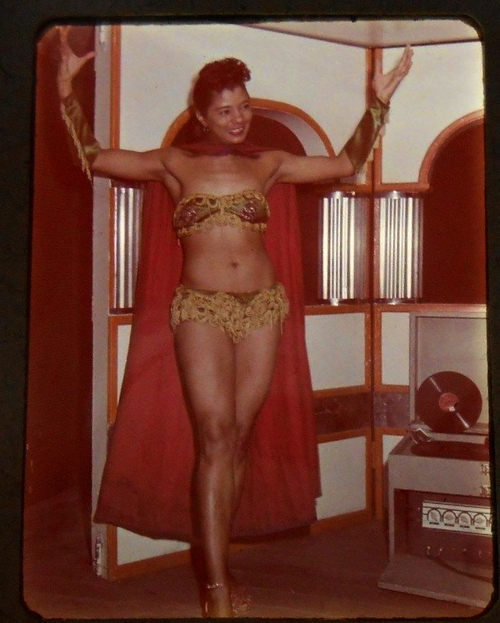 Read more about CeDell at the Encyclopedia Of Arkansas. 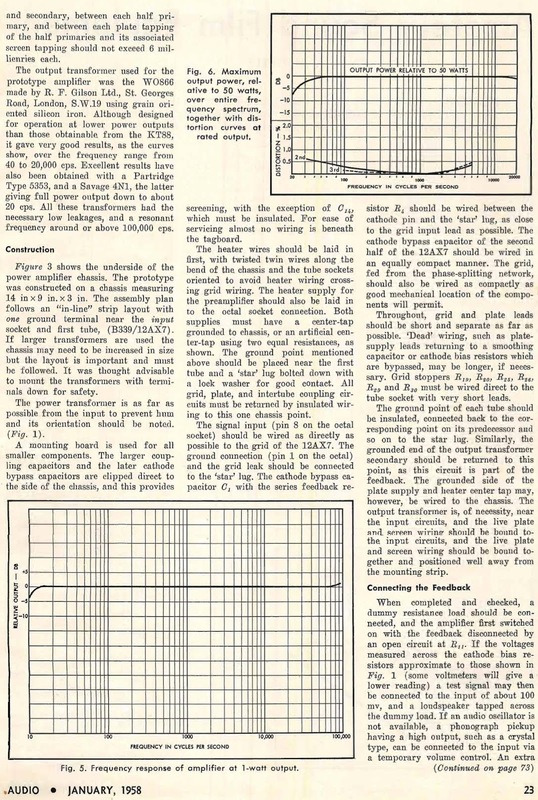 I wish I had seen this long ago. 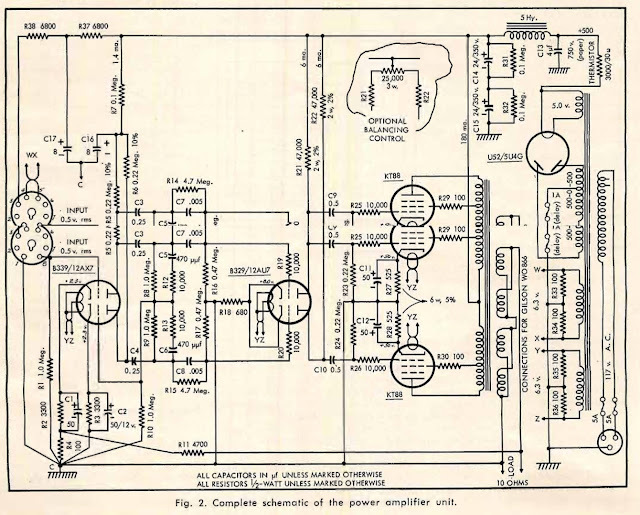 I finished a project last year that I look at now with severe disgust but it is such a cluster I don't wanna touch it since it is working. Ahh DIY live and learn and unlearn and relearn. 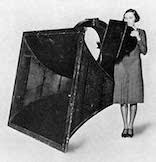 A good early article on speaker enclosures some good info here. This article doesn't account for my open baffle rage. 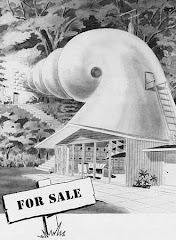 I don't know why they bug me so much but they do. 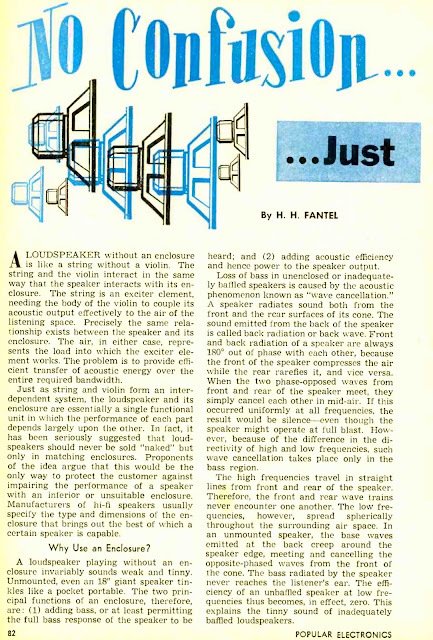 Maybe its because its just a speaker on a board and takes no skill... Or just irrational speaker hatred. 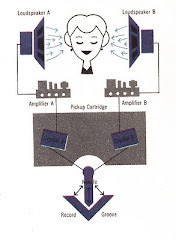 How did she get those headphones hooked up to that turntable? 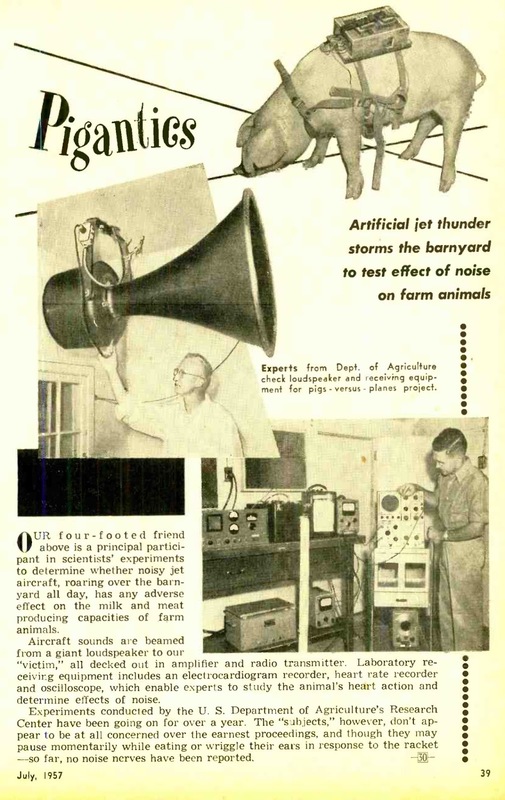 Ok so beyond the absurdity of what they are doing to these pigs what the hell is the driver in the picure. That driver is beyond massive next to his hand? 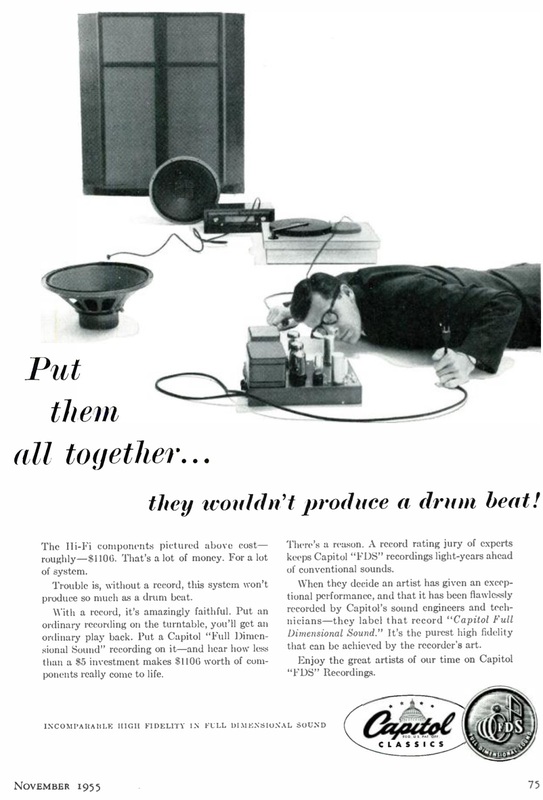 Capital Records wants you to listen to their Full Dimension Recordings on your fancy Hi-Fi gear. Early in my HiFi days it was a friend who had to remind me it was about the music and I suppose that is what Capital Records is doing here.. 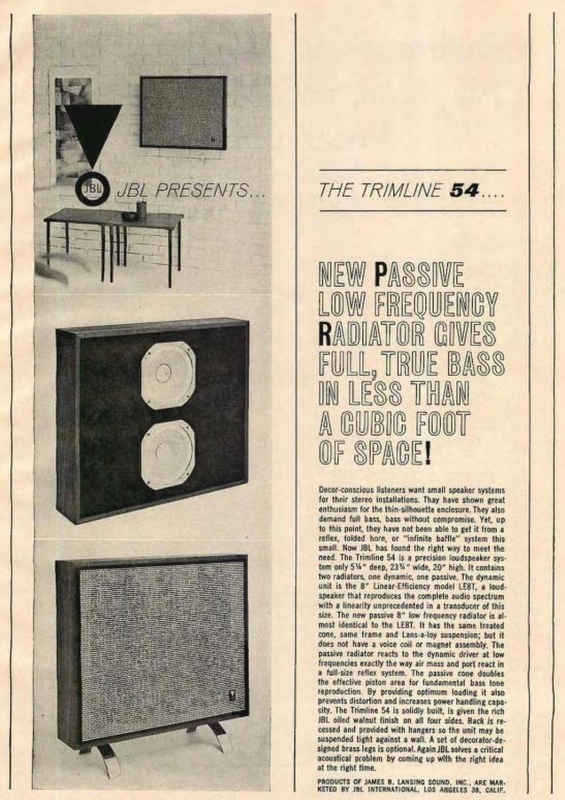 Here is an ad for a JBL speaker I am unfamiliar with or maybe I just pay attention to the big stuff. 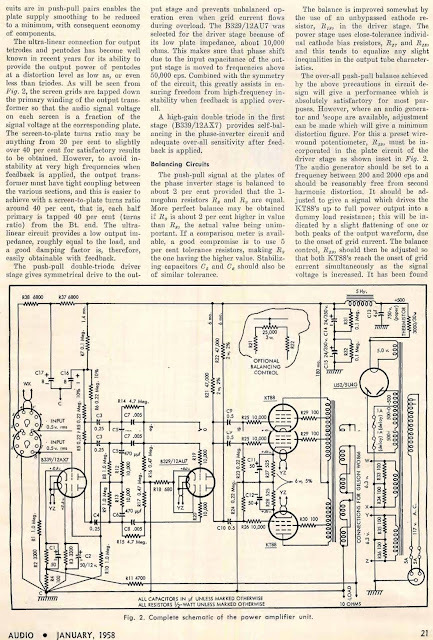 A push pull amplifier from Audio 1958 featuring Genelex KT88s. 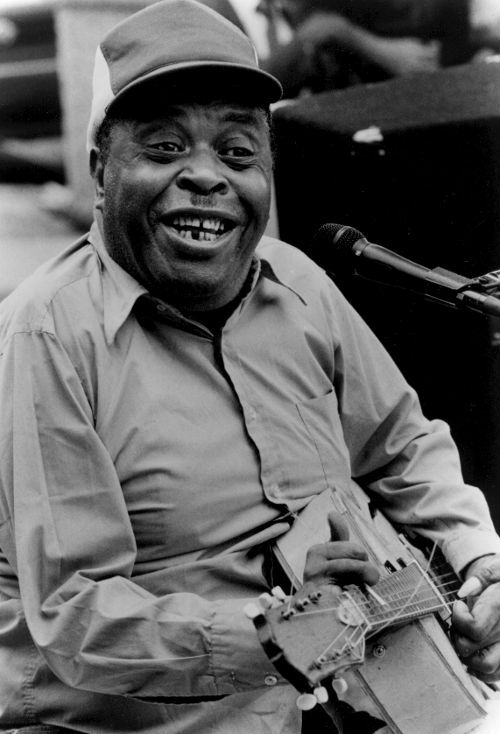 Thinking of all our friends in the Bahamas and hoping you all safe. 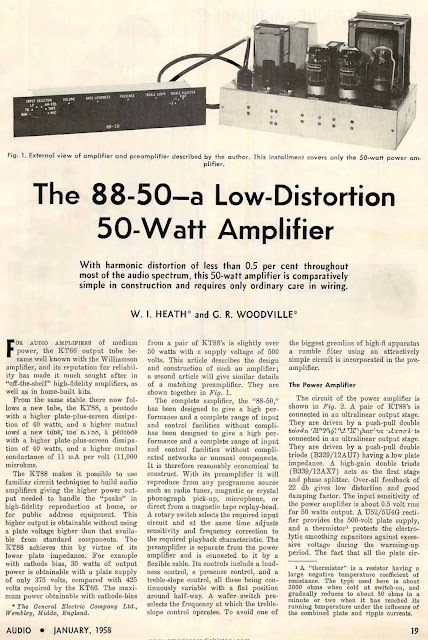 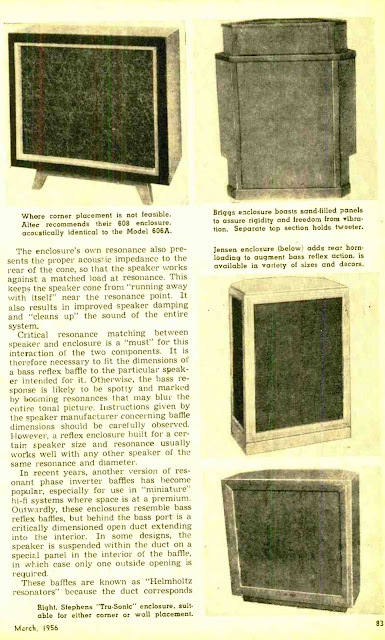 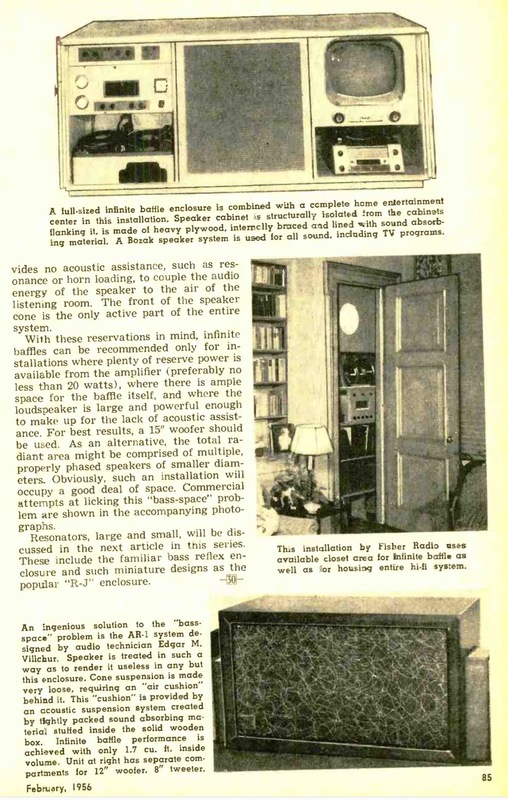 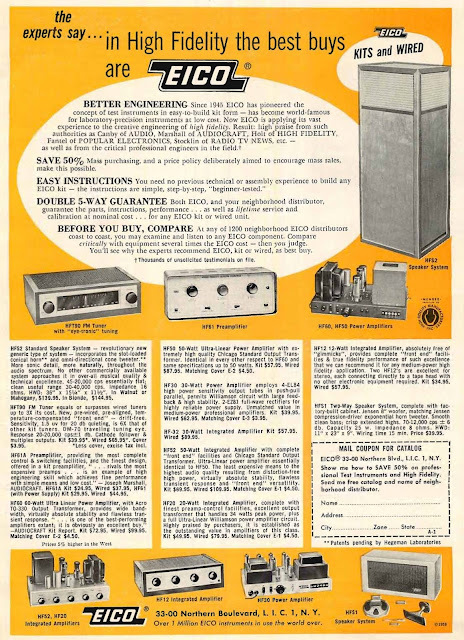 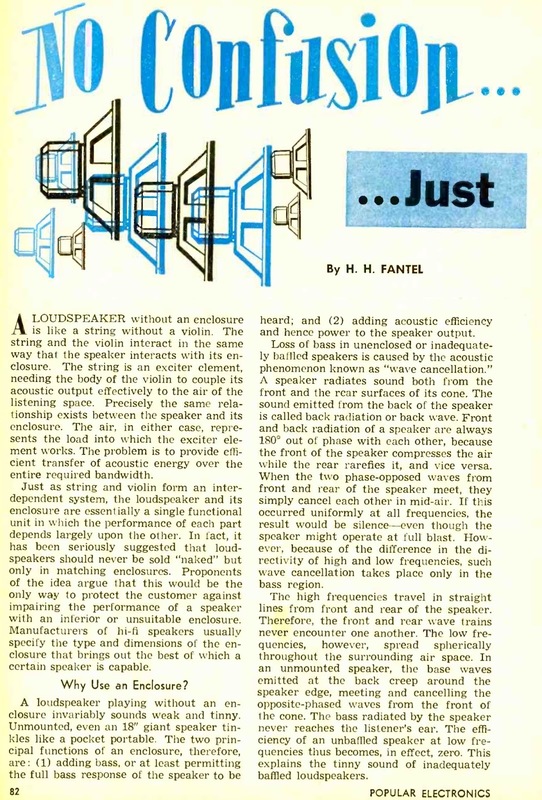 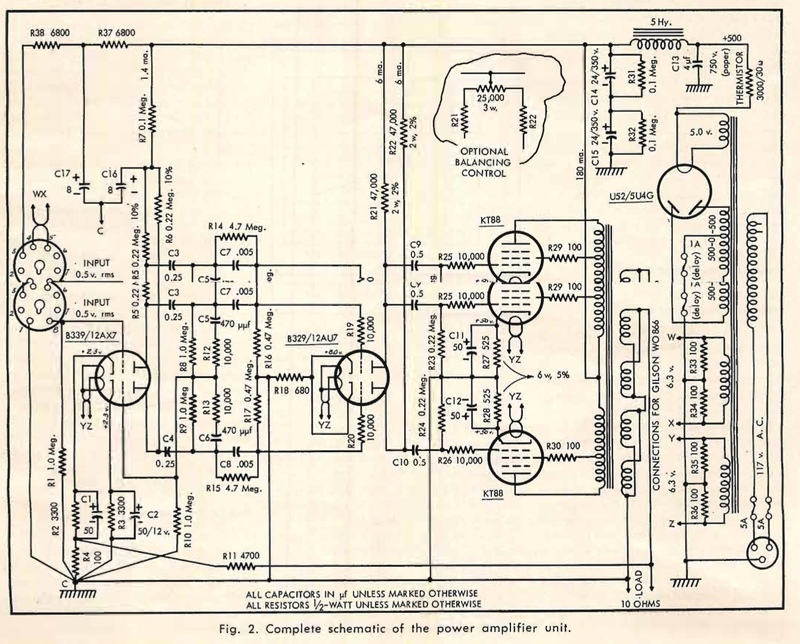 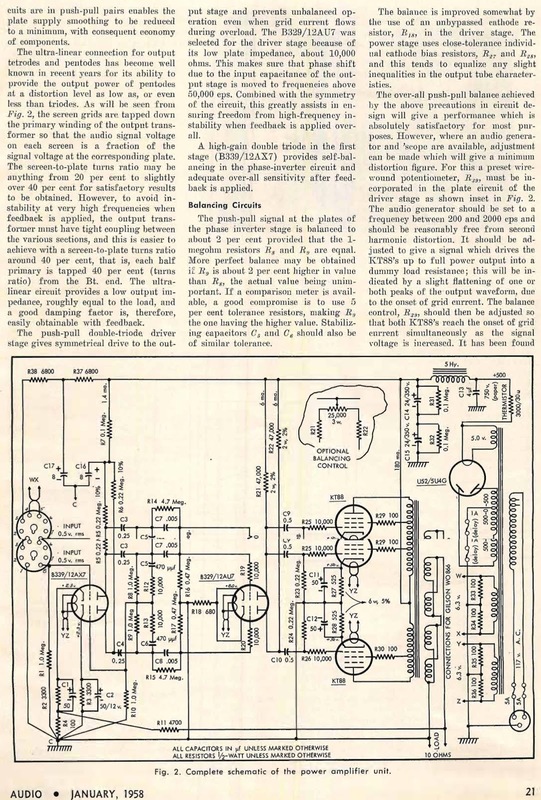 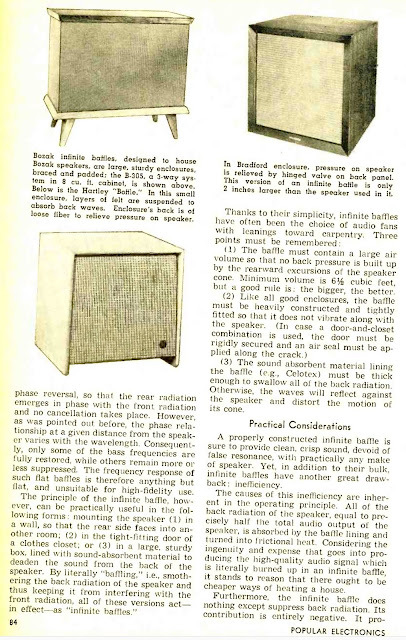 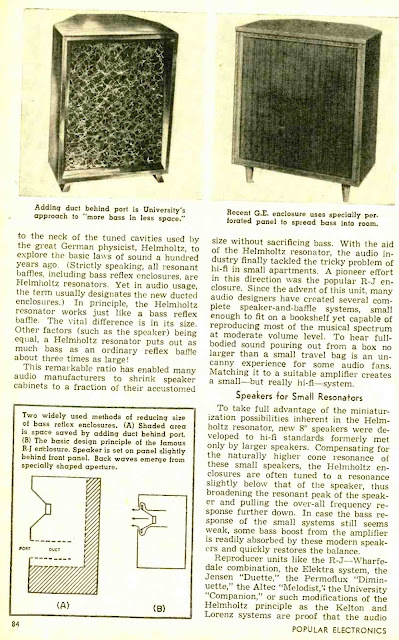 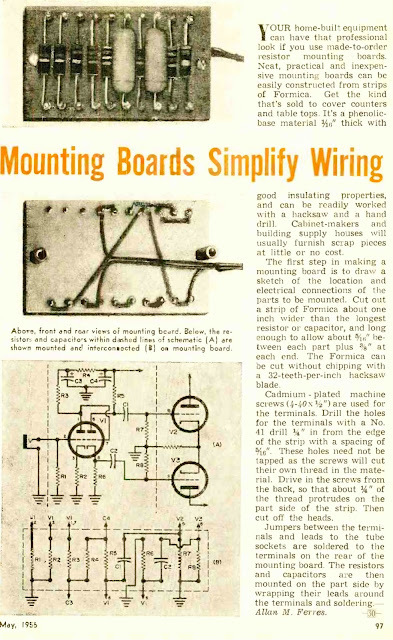 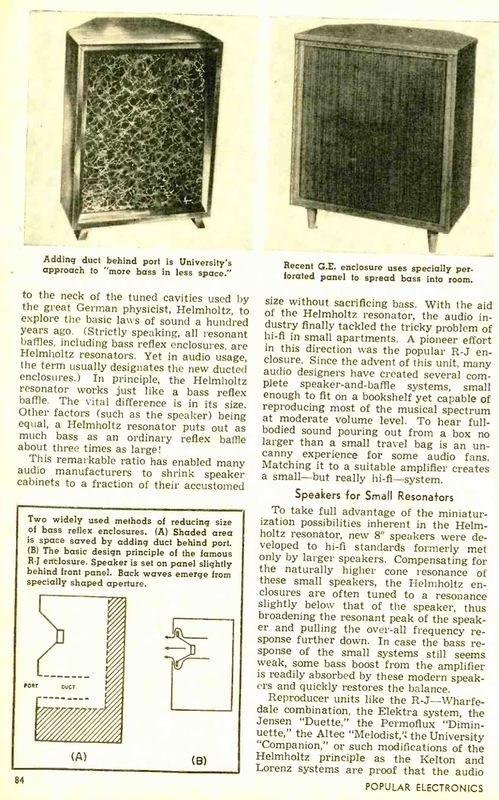 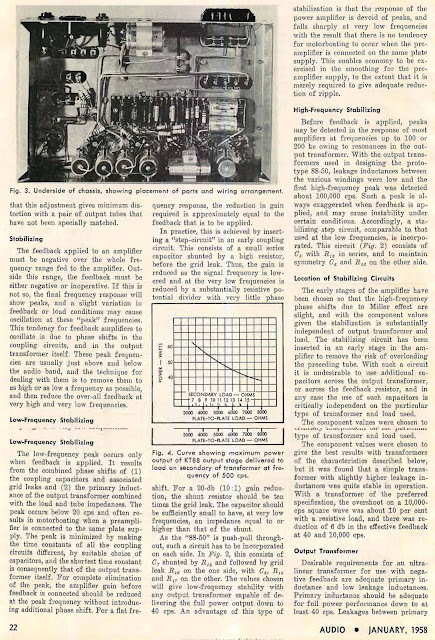 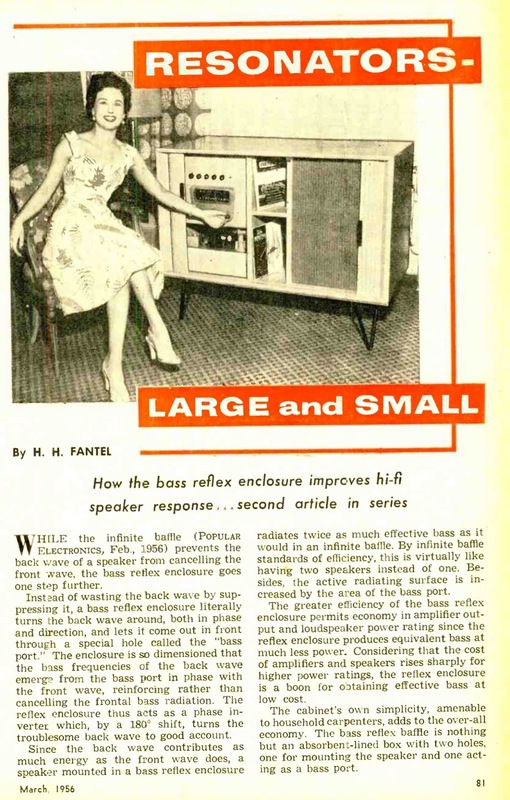 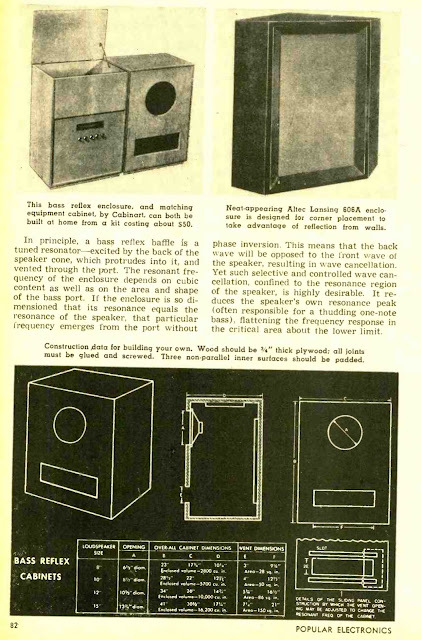 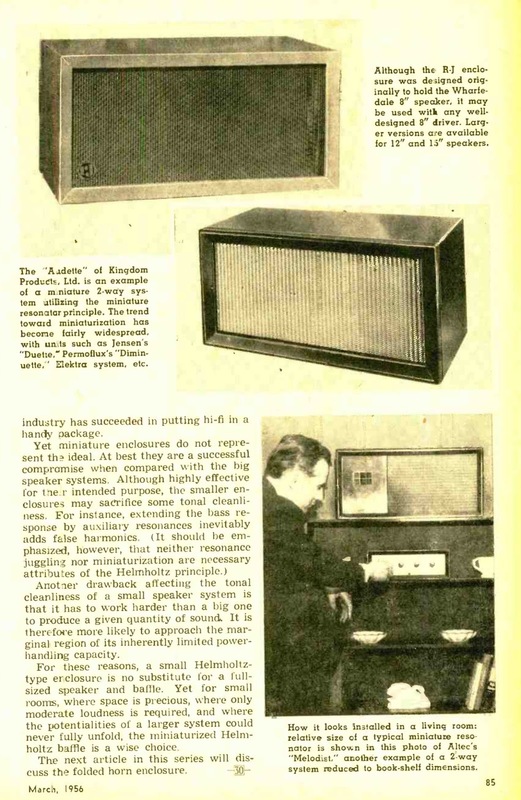 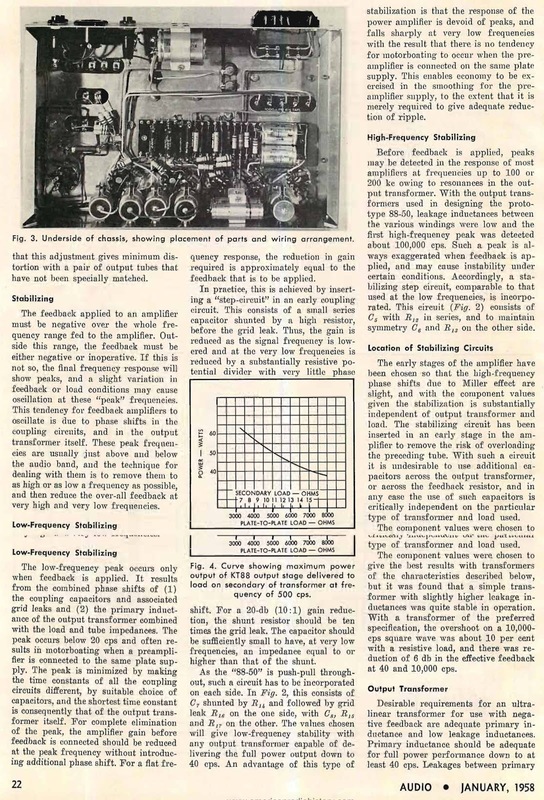 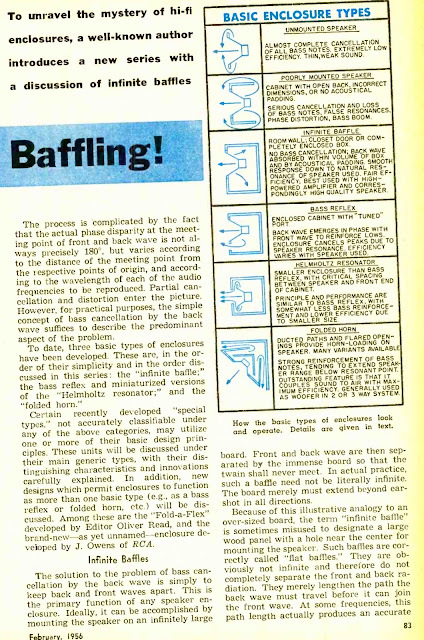 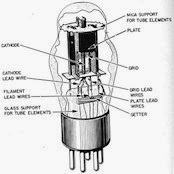 Yet another vintage speaker article. I love the Altec 606. 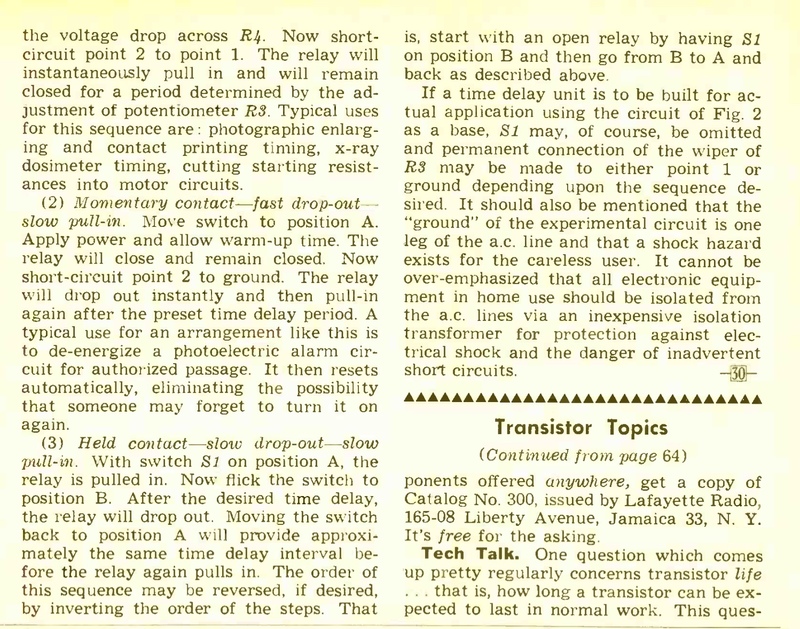 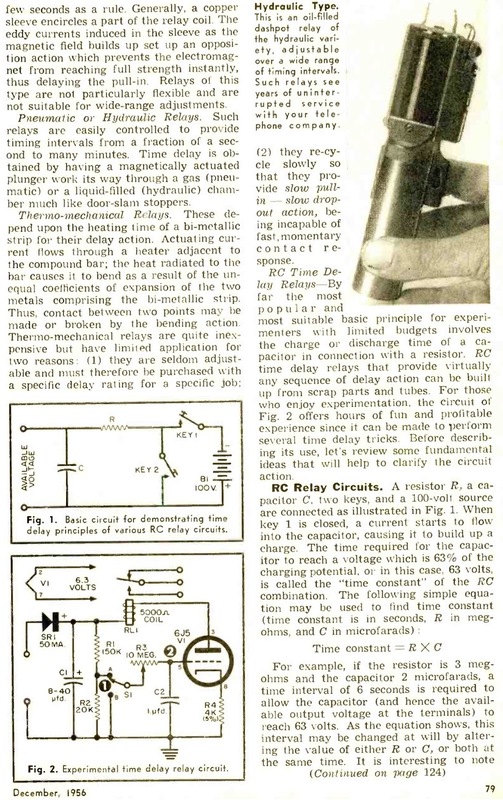 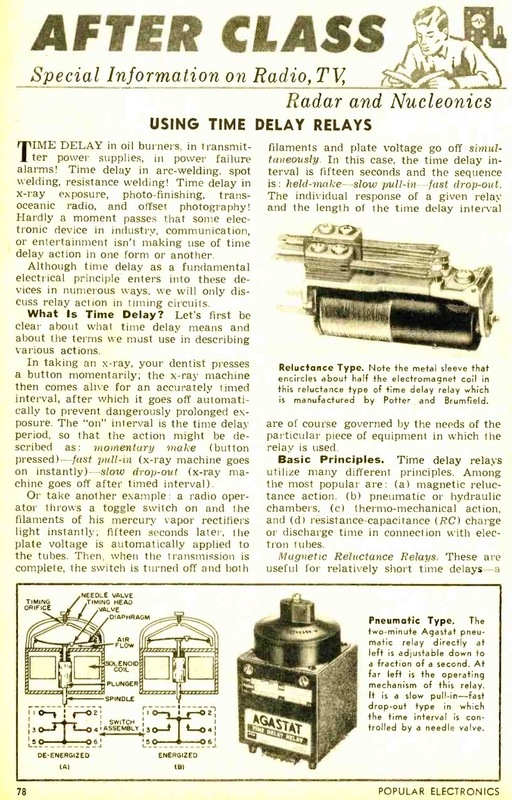 A short vintage article on time relays. 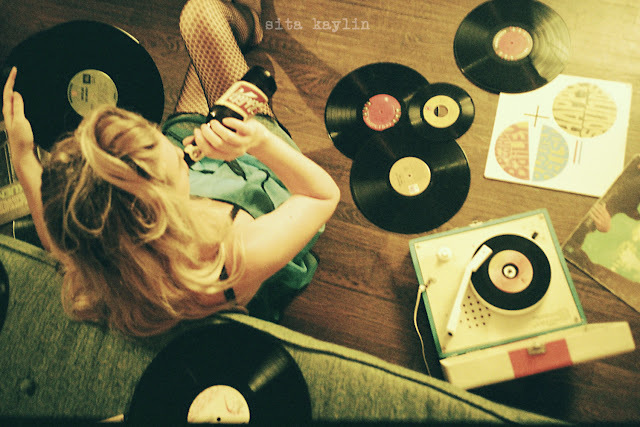 Disco Stu is in the HOUSE!